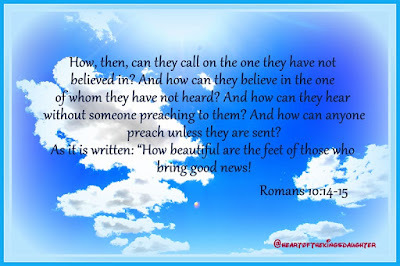 Those who know Jesus are called to bring the Good News to those who do not know Him. Why until now, so many people still don't know about the Son, what He has done for every person, and the great love of the Father to His children? It is because many of us, followers of Christ do not share what we know. Why? The list of alibis is piling. I have my own list as a matter of fact. But by the grace of God, I am starting to get up on my feet to tell people the kind of love the Father has for everyone. The Father's love is too awesome to not share. Thankfully, it is not too late for me to do my commission. It's not too late for you either. One day, I want to hear my Father says, "How beautiful are your feet that bring good news to my children!" Life, to Whom Do You Belong to?